Jesus tells us to love our neighbor as we love ourselves. But what if we don’t really even like ourselves, let alone love ourselves? It is no wonder we struggle to love our neighbor! Without self-love how can we begin to follow Jesus’ command? Truly, the love we might share with our neighbor is often limited by the lack of love we have for ourselves. 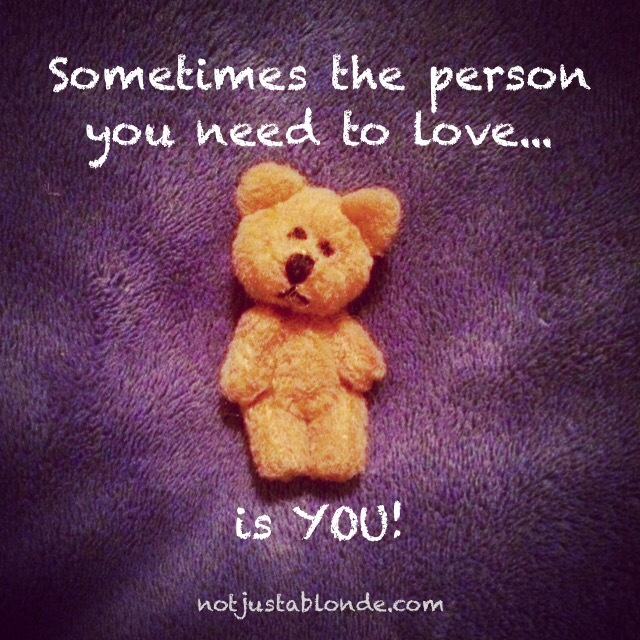 The person you need to learn to love first, is YOU! When you do not truly love yourself, you are not able to fully love another. Spiritual self-love is not narcissistic nor haughty! This self-love does not compare our worth with others, it only affirms our individual God-given value and worth. It is humble, it is kind, it is affirming and healing! Spiritual self-love provides the key to fulfilling God’s outward-love focused command. Yet, how do we begin to cross this hurdle when for so long our self-loathing is all we have found to be true? How do we silence the deceiver’s lie telling us we are worthless and unworthy? How do we begin to heal the self-hate we feel inside? Loving ourselves involves acknowledging the beauty and value of God’s creation! Loving ourselves involves internalizing how love-able we are to our God. Loving ourselves means recognizing our eternal connection to a loving living God. This awareness of our true lovability comes from our Spiritual connection to the Divine. We can not earn it, we only need to recognize it… claim it as true! Be gentle with yourself, be patient, be kind. Forgive yourself for your human errors, do not define yourself by them as you should not define yourself by your success. We are defined by our spiritual relationship to God as one of His children. Accept this love and let it pour into you and then though you. Loving yourself will be the best thing you can do, not just for yourself… but for this world! Wow Blonde! This is exceptional! This is a point I often discuss, but I rarely hear others making this point. Yet you say it in a way I have never been able to capture. Excellent! Everyone should read this. Thank you Tim! So happy this post resonnated with you. The importance of spiritual self-love is something many Christians (and others) struggle with as we often associate self-love with self-absorption, self-centeredness and selfishness… all of which are NOT the traits that describe the Christ-centered self love of which I speak! Once one differentiates that it all becomes much more clear how important spiritually based healthy self-love is essential for a healthy walk with Christ… and for healthy relationships with each other! We are each indeed incredibly loved by God. We are clearly WORTHY of God’s love… that’s why God has done so much for us to assure our ultimate salvation! Tim, It is nice to know we are on the same page with this, although knowing you (and your blog) I’m not the least bit surprised! 😊 Thanks again. God bless. Ann, It is interesting that the three (dis)attributes that you list: self-absorption, self-centredness and selfishness are the results, not of self-love, but of self-loathing. All of these come from emotional, or physical abuse inflicted on us during our childhood, and for which the victim has taken on a sense of guilt that should not be theirs to carry. That guilt lies squarely with the perpetrator, not the victim. However, healing from this self-loathing can only come from God, which is why the message tells us to love God with all of our being (or as much of our being as we are able to putting in, in our state of weakness). Anyone who feels self-loathing needs to cry out to God for healing of this affliction. Please, please trust God and ask Her to help you. Chas, I find it interesting that you see selfishness, self-centeredness self-absorption as forms of self-loathing. I see them as characteristics of a MAJOR identity crisis. These seem to be characteristics of those who confuse their earth-self with their true eternal self. I’d never thought of it like you explained. Thank you for sharing these thoughts!